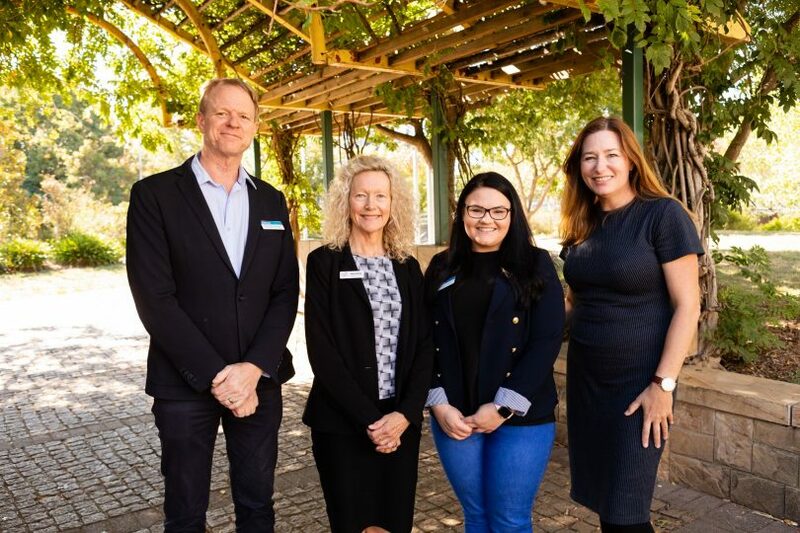 L-R: Rhys Bailey-Brown, General Manager Community Services of Anglicare, Cindylee Young, Youth Engagement Officer, ACT Minister Yvette Berry and CEO of Woden Community Service Jenny Kitchin, with the graduates of the first GET program. Self-esteem, resilience, wellbeing, relationships and safety are among the biggest challenges faced by teenage girls. 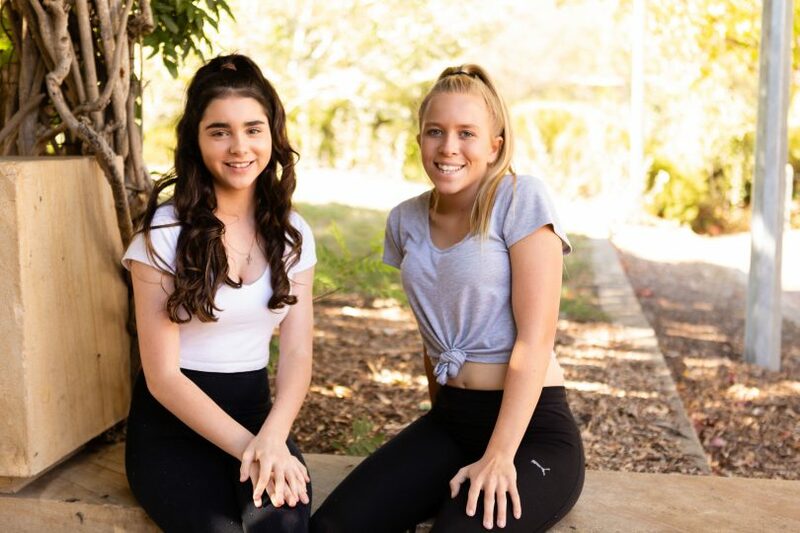 In an effort to provide practical advice and support, and help at-risk young women confront these challenges with confidence, Woden Community Service (WCS) developed an early intervention program: Girls Empowered Together (GET). The 10-week program is designed to build positive self-esteem and self-image, foster resilience, improve emotional and physical wellbeing, maintain positive relationships, and help young women be safe and independent. 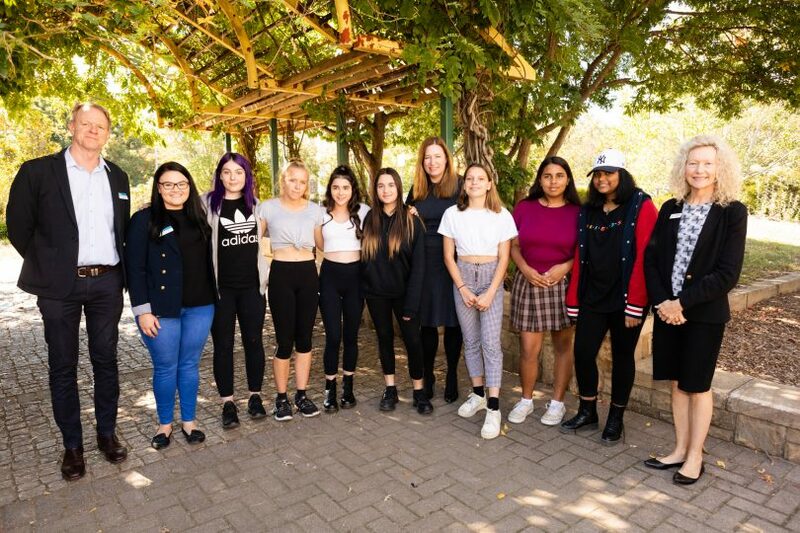 A collection of Year 9 girls from Canberra’s south participated in the inaugural GET program this term, culminating in a graduation and celebratory lunch at the Woden Youth Centre last week. To congratulate their commitment and achievement, the girls’ families and teachers, WCS and Anglicare staff, ACT Minister Yvette Berry – who presented them with graduation certificates, and AFP youth liaisons all attended. Cindylee Young, Youth Engagement Officer in the Youth Engagement Team (run by WCS and Anglicare), developed the GET program as a way to address common issues that she knew teenage girls were experiencing. After receiving an ACT Women’s Participation Grant to run GET for two terms, it was rolled out to seven girls in Year 9. A group of Year 8 girls is set to participate next term. “We’re excited to run it again next term with Year 8 students. We’re working with ages that we’ve identified as best for early intervention, because we want to help educate them before they come across these life situations. Jenny Kitchin, CEO of WCS, adds “These are young girls who are often struggling to connect positively with teachers and other students, and may have been on a path to suspension which would only exacerbate the problem. This program has nipped a lot of that in the bud. It has given these young women lots of confidence, helped them relate positively to others, and taught them how to reduce their anxiety and stress. Their schools have already been reporting incredible changes in behaviour. “It was really nice to watch them get up on a stage with confidence and talk to us about how important the program has been, and to watch them mingling afterwards and see how well they were connecting with everyone. Jasmine and Hayley graduated from GET last week. To learn more about WCS programs, visit Woden Community Service. What is the Girls Leadership Network?